Cut and slice without crumbs on the table! 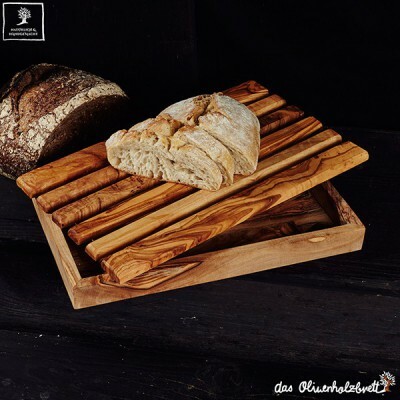 Cutting Board with a special crumb catcher to keep the crumbs from your table away. Durable and light construction due to olive wood. Just empty the removable crumb tray once you're done. Cutting Board with a crumb box. 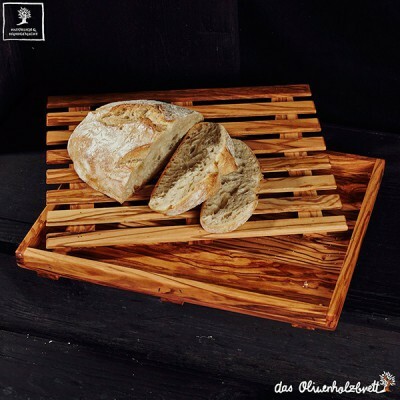 Our olive wood bread board is the ideal tool for the small kitchen. Serving as both the perfect space for cutting bread and catching crumb rest. Its comes in in 2 pieces and has a slatted top (grill) and crumb catcher bottom. 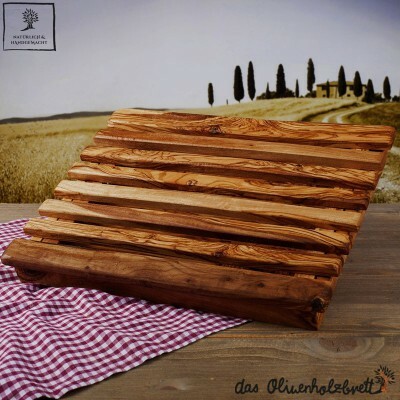 Our olive wood products are handmade, and easy to care for. They have a dense grain and can last not only for your lifetime but for generations.